The British Gazette » CFD: Contract For Difference aka Complete Financial Disaster. 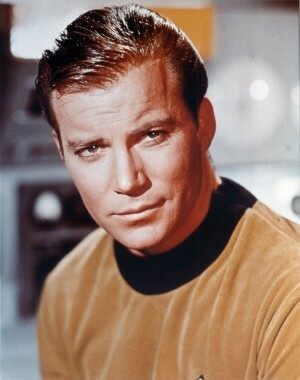 Above, the character Captain James T. Kirk played by William Shatner. In the financial services industry, a contract for difference (CFD) is a contract between two parties, typically described as “buyer” and “seller”, stipulating that the seller will pay to the buyer the difference between the current value of an asset and its value at contract time (if the difference is negative, then the buyer pays instead to the seller). In effect CFDs are financial derivatives that allow traders to take advantage of prices moving up (long positions) or prices moving down (short positions) on underlying financial instruments and are often used to speculate on those markets. For example, when applied to equities, such a contract is an equity derivative that allows traders to speculate on share price movements, without the need for ownership of the underlying shares. Such is the decision members of the Conservative Party will shortly find themselves with when they have to decide who to vote for as the party leader and the Queen’s Prime Minister. That choice will be between two candidates. One of these will be Mrs May. The other will likely be Mrs Leadsom. Neither of these women will be a Captain Kirk – and not for the obvious reason of gender. Star Trek was first broadcast in the USA by the National Broadcasting Company (NBC) – an American commercial broadcast television network – between 1966 and 1969. The BBC broadcast the series between Saturday 12th July 1969 and Wednesday 15th December 1971. At the time the series started I was nearly 14 and when it ended I was 16. Captain James T. Kirk was a hero of mine. Up to press, the British Gazette has suggested that the sensible choice for the Tories is the Remainian Mrs May. It is important however when looking at the leadership candidates to look at their advisers and supporters as well. There is no doubt that Mrs May is a safe and experienced pair of hands, albeit, judging from Ken Clarke’s unwitting admission, difficult to work with. Below: Mrs May it appears will likely travel the path of EFTA/EEA keeping the UK in the Single Market. This is precisely the course mapped out in Flexcit that Doctor Richard North and this organ have been advocating. The danger that Mrs May presents is two fold; that the Europhiles in the Tory party and their advisers will urge a compromised Flexcit which will appear to have advantages that “the Norway Option” does not but these “advantages” will be Trojan horses. For we Eurorealists, Flexcit has always been a stage on a journey, not the final destination. The Europhiles are aware of Mrs May’s predicament that the Leave campaign offered the end of free movement. For instance, the Europhile Robert Schuman Foundation are putting forward proposals to modify the EEA to change Part VII of the EEA Agreement, addressing “the inability of the EEA States” (they mean Efta states) to take part in the vote over the internal market rules. They suggest that instead of the Council of the European Union (formerly the Council of Ministers) taking the dominant role, the EEA Council would be the body charged with approving Single Market legislation, thereby giving Efta members some “say” in how the rules were made. These decision-making powers might also be extended to the Union’s programmes in which the Efta states had chosen to participate, such as the research framework. Similarly, the Foundation argues, it might be possible for the mixed EEA parliamentary committee to be transformed to include all Union parliamentarians and “European Members of Parliament” appointed by the non-EU EEA States. These EMPs would meet in Brussels and be able to take part in co-decision in the same way as the EEA Council. As to freedom of movement, the Foundation acknowledges the existence of the Liechtenstein provisions. Robert Schuman Foundation are clearly trying to reinvent EFTA+EEA as the EU Mk 2. This is precisely the danger we alluded to near the end of our article (http://www.british-gazette.co.uk/2016/07/02/farage-rogers-correspondence/). This undoubtedly is the SAFE option insofar as the economy is concerned. This is the option which will be desired by the City of London – second-class membership in an enhanced EEA – a “second-class citizen” in a Große Europa whose appetite for the creation of a United States of Europe would be entirely undiminished. And the apparent alternative? Having a lady as Prime Minister who has little understanding of what it takes to negotiate a successful withdrawal from the EU, and no capacity to develop that understanding and the potential chaos (unless stopped by the nation’s many creditors beforehand) of a world outside the Single Market with no coherent replacement. The answer is the idea set out in the latest seventh version of Flexcit – a third phase offering the opportunity of creating a genuine Europe-wide single market, freed from the grip of Brussels. The Editor is NOT a member of the Conservative Party and therefore does not have a vote. If I was and had I would vote for James Tiberious Kirk!